Yahoo! CEO: "Google Needs To Diversify"
Yes you heard it right. 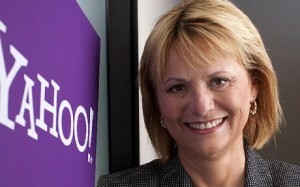 Carol Bartz, the Yahoo CEO, said in a BBC interview that Google needs to diversify to stay relevant. She even went on to say that search is 99.9% of Google's bussiness and that Google has to a lot more than just search, while Google already is more than just search. Google is going to have a problem because Google is only known for search. It is only half our business; it's 99.9% of their business. They've got to find other things to do. Google has to grow a company the size of Yahoo every year to be interesting. What Bartz doesn't seem to know is that Google has far more services than Yahoo! has. They have an internet browser (Chrome), an OS for mobile phones (Android), desktop OS (Chrome OS, although not released), Maps (Google Map), Video (YouTube) just to name a few. There are even reports of Google bringing out a Google TV. The difference from Yahoo! is that Google choose to leave its homepage minimalistic with no links to the majority of these services.